You are about to step through the threshold of Fantasium Creatium! A Fantastic Gallery, where magic and art are combined into unique and mysterious creations. Here, you will have the chance to uncover secrets of passionate artists – both those inspired by well-known universes and those creating their own mystical works. In Fantasium Creatium artists from all over the country showcase their incredible projects. If you love to create, you are passionate about what you do and your head is full of ideas, this is the perfect place to share what keeps you going with the world. Show your phenomenal works of art to others! In Fantasium Creatium you can immerse yourselves in fantasy! If you want to meet people with an amazing outlook on the reality surrounding us, see models of spaceships made of paper, breathtaking costumes, horrifying figures straight from your worst nightmares, stunning paintings and many more – just as fantastic – projects – you simply must visit our Fantastic Gallery. 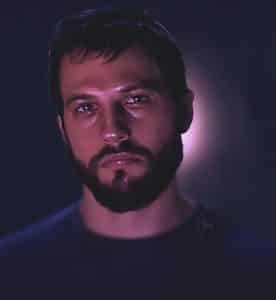 Fantasium Creatium is special for one more reason. Although some of the presented works are too fragile to touch and can only be admired from afar, you can always talk to the creators or even take pictures. At some of the stands, you will have the chance to make your own figurine, learn to crochet or stitch. And if you’ve always wanted to hold a weapon straight from the Galactic Empire or have a photo taken with princess Leia (even if it’s only a figurine), you’ve come to the right place. Find exactly what floats your boat! Our Fantastic Gallery is divided by theme, so if you’re interested in a particular topic, you don’t have to walk through the entire hall, looking for works that are your cup of tea. You will find all the exhibitions covering one topic right next to one another! 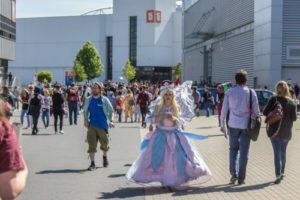 At Pyrkon 2019 you will have the chance to visit a science fiction zone as well as a fantasy zone, post-apocalypse zone, a handicraft zone, a scientific zone or exhibitions by beginner artists. Apply with your own exhibition! Feel like this offer is for you? 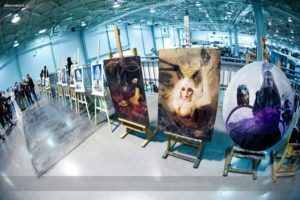 Want to exhibit your works in the Fantasium Creatium? Apply now! Need more information? E-mail the Manager of the zone at anna.sikorska@pyrkon.pl. You will be assigned a stand in the hall, with appropriate installations and passes for the persons showcasing their art. Read the regulations and don’t keep us waiting! At Pyrkon we appreciate creative ideas and we want to provide a chance for all the artists to show their art. That is why we decided to create a zone, where young artists could show off their work. If you create fascinating works, but you haven’t had the chance to exhibit them at conventions or festivals, this is the perfect opportunity for a wider audience to view it. 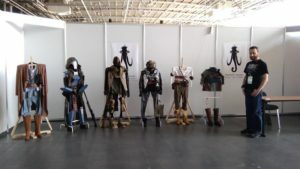 Here you will find short descriptions of each of the exhibitions in the Fantasium Creatium and learn in which zone to find the exhibitions you want to see! Check back here regularly as the list of the phenomenal artist grows! Huge, majestic, intelligent and – let’s not forget – deadly. We’re talking about dragons. The huge reptiles can be found in many universes and legends. In Middle Earth one of them guards the treasures gathered beneath the Lonely Mountain, in Alagaësia they almost went extinct and Muggles think of them as figments of their imagination. There are as many visions as there are authors. Once you visit the Fantasium Creatium during this year’s Pyrkon, you will have the chance to see a gallery full of amazing drawings of those creatures. You don’t want to miss it! Women with not so good intentions? This exhibition will showcase photographs of witches, hags, demons and… many, many more! In its entirety, it maintains not only the post-apocalyptic atmosphere, but also the convention of dark fantasy. The stylizations reference characters from literature and film and are inspired by fairytales and legends. You can see more on their Facebook page and website! Books are not only letters forming sentences, which in turn form paragraphs, of which entire chapters are made. Often they also include an abundance of beautiful, breathtaking illustrations, allowing us, the readers, to immerse ourselves in the universe created by the author. This year you will have the chance to admire a selection of illustrations from the „Drzewo wspomnień” („Tree of memories”) novel at the Fantasium Creatium. 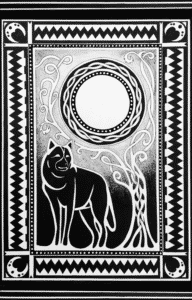 It is a story full of Slavic magic, with tales not only about puberty, but also about the strength derived from honoring tradition. More information about the book itself and the illustrator can be found here and here! Kolekcja Figurek – MAX figurine collection was brought to life in order for its creator to be able to share not only his collection, but also passion for photography with a wider public. You’re in for an amazing treat! It is not going to be just another, plain exhibition, where you are separated from the exhibits with glass cases and rows of barriers! 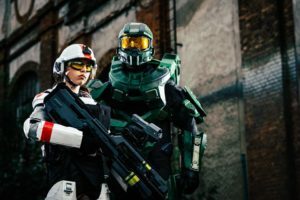 At the Fantasium Creatium you will have the chance to see not only the figurines, but also photographs, showing models of well-known and loved characters in open-air locations. 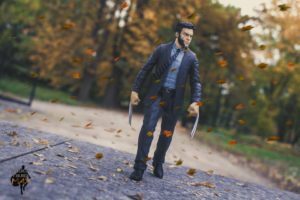 You can be sure some of the photographs look like frames from superhero movies, and the figurines captured on them come to life! Do we have your attention? You can see some of the photographs on Facebook already! A real treat for the fans of the bestseller series that debuted in 2001 with „Halo: Combat Evolved”. Shootings in a space scenery require not only sophisticated armors, but also effective weaponry. At the Fantasium Creatium you will find a unique collection of the equipment “Halo” fans will be familiar with. Everything there was hand-made and in scale! You definitely cannot miss that! You can find Shadow Land on Facebook! 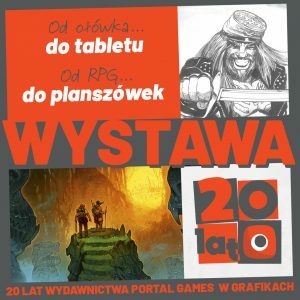 This year, once again the Poznański Instytut Fanów Kosmicznych Odysei – P.I.F.K.O. shall present the largest individual Star Trek collection in Poland. However, this is not the only highlight that the Institute prepared for this year’s Pyrkon. You can also expect fantastic exhibits you may recognize from Star Wars, Seaquest, TRON or Batman. 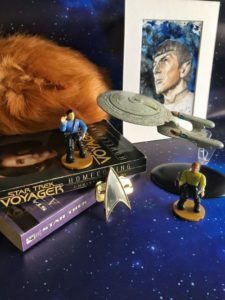 You will have the chance to see not only model ships, but also weapons, books and communicators. The exhibition includes a total of approximately 200 items. You can check out the Poznański Instytut Fanów Kosmicznych Odysei on their website and on Facebook. 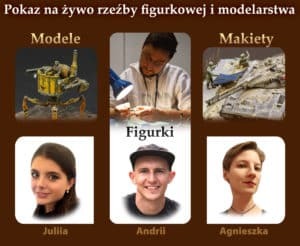 At the „Fantastic Creations (Fantastyczna Twórczość)” stall you will not only have the chance to see how models and figurines are created live, but also to talk to their creators. There will be plenty products of imagination, namely models, figurines and many other project, showing all the stages of works. 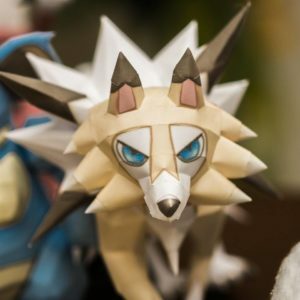 During this edition of Pyrkon, in addition to meeting the creator of „Stanley’s Workshop” you will also meet three new, extremely talented figurine creating artists! You can find all of the creators in social media! Here’s Agnieszka’s Instagram profile, Stanisław’s Facebook page, and here you can check out what Andrii is creating. Do you guys know the Mos Eisley Cantina? You know, the Outer Rim of the Galaxy, Tatooine. The place where smugglers and miscreants of all shapes and sizes meet, where Obi-Wan Kenobi and Luke Skywalker crossed paths with the Millennium Falcon crew. Cantina Projects is an interactive diorama of the best-known bar in the history of sci-fi cinema! 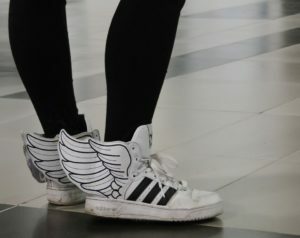 It was created by fans from the south of Poland. Music, aliens, contests! Come and see who shoots first. Maybe it will be you! You simply must visit their Facebook page! Stark Expo is a collection that would do The Collector himself proud. 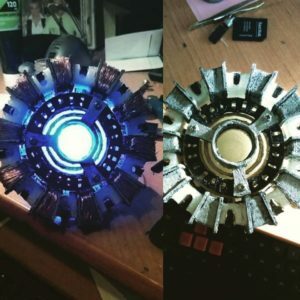 At the exhibition, you will have the chance to see helmets (not only Iron Man ones), arc reactors, Infinity Stones (let’s hope Thanos does not pay us a visit, though) and many other items! All the props were hand-made. You check out more items on Facebook and Instagram! This year will mark the 4th time that Maniacyfigurek.pl visit Pyrkon to showcase their voluminous figurine collection from all around the world – both the newest ones and ones that are over 30 years old. This year’s stall was organized with “Dioramas” as the main theme. What does it mean? 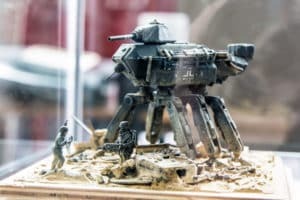 The focal point of the exhibition shall be the dioramas, on which you will be able to see the figurines „in action” – fighting battles, organizing their base or resting after a tough day. Among the presented models you will find: brave Marvel superheroes, enormous vehicles and countless figurines from the G.I. Joe universe, the Force resonating in figurines from the Star Wars universe and many, many more! You simply must visit Maniacy, not only in the Fantasium Creatium, but also on their Facebook page and YouTube channel! Red alert! The Officers of the Wielkopolskie Star Fleet Troop (WOGF) wish to invite you to visit the Klingon village! Learn basics of the Alien language, see what they fight with, plan a glorious battle in space. Share your passion and feel at home! Join us! The author of the exhibition creates different monstrosities! As he himself says – the darkness from the depths of hell is a leitmotiv in his creations. Mannequins serve as a basis for his works, he also incorporates recyclable materials or construction materials. 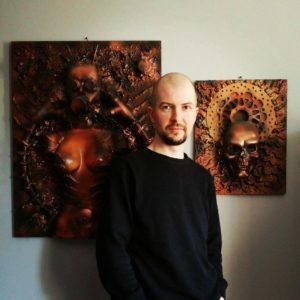 At this year’s Pyrkon, you will find four phenomenal „Biomechanical Art” wall decorations, inspired by the works of H.R. Giger as well as movies and literature (mainly horror and science-fiction, there will be plenty of post-apocalyptic visions brought to life there as well). You will also have the chance to view a series of unique works entitled „Nightmares of the Sinner”, showing the likenesses of demons and monsters, patterned after fossils. Only for the bravest ones out there! The artist’s works can be found on his Facebook page. 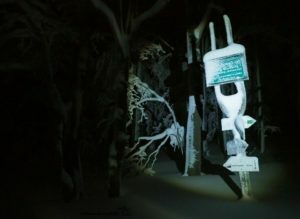 Original documentary-type photographs from the world after the apocalypse? What would a coverage look like in the world of Fallout and Mad Max? The photographs would probably be black and white, taken with a 50-year old, analogue camera, the very first one manufactured in Poland after the 2nd World War, called START. Come and see for yourself! 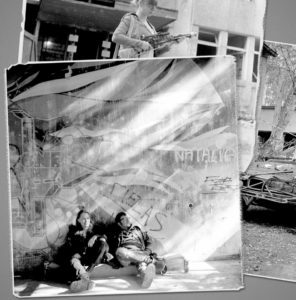 At the exhibition, you will be able to see a gallery of black and white photographs from post-apocalyptic fan conventions:: Łyżkon 2016 and 2018, taken by Ewa Gillner. The artist’s works can also be viewed on her Instagram profile. 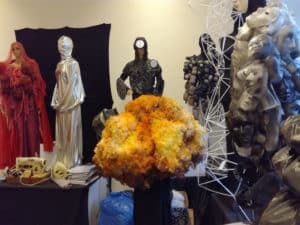 An exhibition, during which a dozen or so models of costumes will be presented, prepared by the students of the University of Fine Arts in Poznań, enrolled in the Theatre Costume Studio. 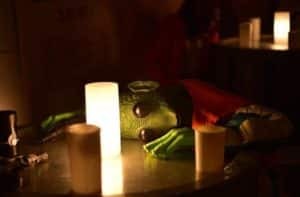 The multitude of techniques used, the unique forms, the unconventional approach to well-known and well-liked themes are sure to grab your attention. Maybe the exhibition will inspire our younger participants to enroll in this notorious and valued university? Join us! Photographs of their phenomenal costumes can also be found on Facebook. Everyone has heard about the Vikings. There are movies, TV series, games, LARPs, thick ladies in helmets with braided hair, singing opera…and then there are historical reenactment groups, for which it’s all part of everyday life. As a rule, the general ideas are somewhat different than the truth, but it does not mean historical reality is boring. I wish to invite you to see a presentation about Vikings in pictures. Colorful photographs, little text, large print. You can find the Soul Thieves on their website and on Facebook. The atmosphere at Pyrkon is created by passionate people. The exhibition showcases the gleeful community of Pyrkon-goers during the last couple of editions of the convention. You are welcome to come see it. Maybe you’ll find yourselves and your friends in the photographs? The author of the photographs Piotr Derkacz is associated with the event from its very beginnings and he likes to freeze positive emotions Pyrkon evokes in frames with the help of photography. 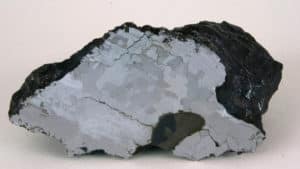 If you’ve always wanted to take a stroll among planets, asteroids and one star, feel the meteorites, become the creator of celestial bodies – come to the exhibition. Here, everything will be possible! P.S. Don’t forget to bring a towel! This exhibition is a one-of-a-kind opportunity to get to know the works of many famous illustrators, who started their career twenty years ago, sending their sketches in pencil and on paper via traditional mail. Their works can now be admired in many games worldwide! How did trends in RPGs and board games change? Are games susceptible to fashion trends? What was trending twenty years ago and what we cannot imagine to function as a graphic in a modern game? From Neuroshima, through Monastyr, all the way to The Settlers: Rise of an Empire. You simply must see how games and illustrations evolved through the last two decades. 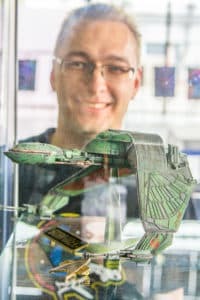 Although Patryk – who studies Energetics on a daily basis – has been creating his models for 3 years only, his collection consists of almost 500 pieces! It is constantly growing, and does not only include the most well-known creatures! You will find subsequent evolutions and Generations there as well! Don’t be surprised if next to your favorite Pikachu or the adorable Evee you come across Pokémon such as Staraptor or Crocodile. You can find Patryk’s works on his: Facebook page , Instagram profile and DeviantArt page. We are dealing in creating costumes for outdoor LARPs. For 10 years, we have been gaining experience, testing different concepts first-hand in a wide range of different weather conditions. 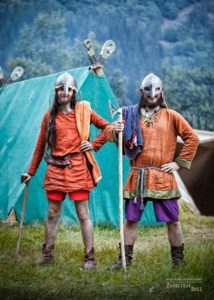 We believe a LARP season lasts all year round and you have the best fun when a character is suited to the player and the costume is suited to fit the character. There is nothing worse than a costume wearing the player – being a nuisance rather than a help. That’s why our focus is the functional aspect of our designs. We will be happy to tell you and show you, what creating costumes you want to play in is all about. You can also find Mammoth Bazaar on Facebook. Inoneko Dolls is an exhibition devoted to dolls, which have undergone an immense change – from regular toys into small works of art. 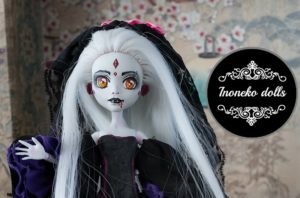 Each of the presented dolls was hand-painted and dressed in new clothes by the author, Irmina Chałupczak, who has been dealing in dressing up dolls for 1,5 years now. Characters known from pop culture and Japanese animation serve as inspiration for her works. At the stand, you will be able to witness the process of creating a new doll and ask questions about this hobby the author will answer. Think a real superhero is all muscle and steel or modern armor? What if we prove that you’re wrong, and heroes can be softies, too? Don’t believe us? Visit the Fantasium Creatium and find a stand full of amazing, crochet toys. 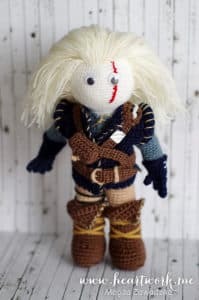 Here you will find amazing crochet plushies of superheroes as well as well-known and loved characters from video games. 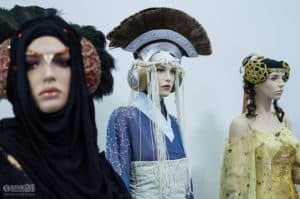 There will also be hats and costumes inspired by fantasy universes. At Pyrkon, you will have the chance to participate in crochet workshops and learn to create such little wonders yourselves! The works are made by two amazing people – mother and daughter and you can find their creations on their website. Fantasium Creatium is not only filled with figurine, costume or doll exhibitions, it is also a place to showcase photographs, graphics and drawings. There, you will find a whole bunch of phenomenal works inspired by fantasy. At the exhibition you will have the chance to see one-of-a-kind posters from science-fiction films and TV series, created by means of digital painting. They were all drawn using a graphic tablet, with a hint of imagination and a river of blood, sweat and tears. You can find the works on their website, Instagram profile and Facebook page. Or maybe you prefer micro versions of things? You can find that at this year’s Pyrkon as well. You can be sure you will be impressed by some of the displays’ precision of workmanship. We will prove that small can be as beautiful and spectacular as large and that figurine painting is an art. Thanks to two talented artists, you will have the chance to see a pocket-size exhibition of hand-painted figurines from different games. 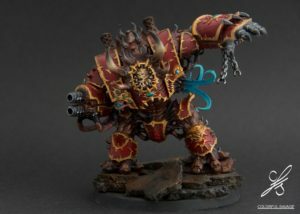 Not only Warhammer lovers, but also those playing Star Wars or Lord of the Rings will find something for them to look at there. You simply cannot miss it. You can find more of their works on their website and Facebook. 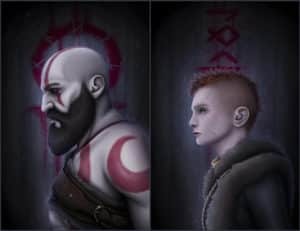 Digital painting? We would not forget to include it in the Fantasium Creatium! And all that thanks to the incredible exhibition inspired by what is widely considered to be pop culture. Here, you will find works drawing on games, films, TV series, comics, even music. And all that with a hint of classical painting. If you want to see more, check out this DeviantArt page and tumblr! The author of this intriguing exhibition deals in creating illustrations and tattoo projects. Have we got your attention? She herself says her collection is chaotic. We claim that everyone can find something that strikes their fancy there! 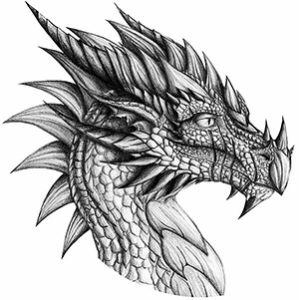 It is here where you will have the chance to come across drawings of fantastic beasts, mechanical animals, character portraits and illustrations from fairytales. You can find more of her works on Facebook, on her website and in her DeviantArt gallery! This is one of those exhibitions, where everyone can find something that is just their cup of tea! The gallery is a collection of works covering almost any subject – form fantasy, through still art, all the way to portraits. There will also be works with themes referring to popular films or games. But wait, that’s not it yet! You will be able to find here not only a wide variety of inspirations and references, but also an abundance of techniques, in which the works were executed. Graphic arts? Painting? Of course! More of this author’s works can be found on Facebook and Instagram! Real magic is present not only in gestures, incantations and hard-to-get components. It does not always come with flashes, explosions and fireworks. Sometimes it is difficult to spot, even though it is with us every day. Do you know that feeling, when a seemingly regular place just takes your breath away? Makes you forget breathing for a moment? With the lights flickering, the geometry of it all or a surprising phenomenon occurring right before your eyes? This gallery is full of photographs of those kinds of moments. You can find more photographs like that on Facebook! If, just like the author of this exhibition, you are fantasy fans, if you love to draw, you simply must visit this corner of the Fantasium Creatium! At the stand, you will be able to see original, intriguing works that are sure to appeal to you. They are mostly works with female characters on them that came to life thanks to Natalia’s immense creativity and imagination. Join the fun and create something new with Natialia! You can find more of her works on Instagram! Conventions are usually seas of attractions – lectures, workshops, exhibitions, guests and many other events. It’s impossible to be everywhere and see everything. No wonder that there are times we miss details of it all, right? At this exhibitions, you will find photographs, where the author managed to capture surprising moments, funny instances and many other fantastic details from conventions in Poland! You can find more photographs on Facebook! Miki is an almost nineteen-year-old cosplayer and a beginner artist from Kamień Pomorski. She is a student of the Liceum Plastyczne im. Tadeusza Eysymonta in Gryfice. 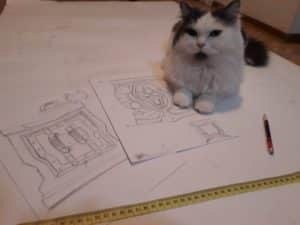 Her favorite technique is sketching, although she does sometimes use a graphic tablet and a specialized Android app. At Pyrkon she will be showcasing her works for the first time to a wider audience. 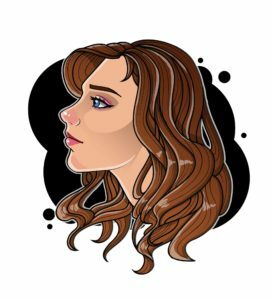 She will be displaying not only her sketches, inspired by dreams and games, but also fan art, with your favorite characters on them. 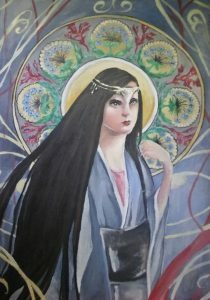 You can find her works on Facebook!